In order to attach or fit the block to the instrument, it isn't necessary to alter the body. 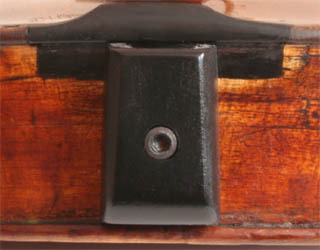 It can be fitted to the hole found on the rib and through the tension of the strings, it will be further secured. The fitting of the block allows for the further attachment of the accessories. The block's weight is 8 grams.